Process Server Services in NYC & New York State | Reliant Court Services, Inc.
Reliant Court Services, Inc. is dedicated to providing high-quality, professional legal support to firms across New York, the US, and internationally. Our personalized attention to client needs has helped us develop a reputation for reliability, security, and convenience that we are proud to live up to every day. Since 2000 we have serviced many happy clients. Click here to read some of our reviews and testimonials from past customers. You may also leave one of your own. New York City Department of Consumer Affairs Licensed and Bonded. At Reliant Court Services, we know that your time is valuable and limited. Sometimes it’s impossible to do all of those time-consuming, but crucial tasks. That is why we dedicate ourselves to being the litigation support and process service firm you can rely on to get the job done, with the personalized, professional service you deserve. Since 2000, we have been providing process service, deed recording, court filings, skip tracing, document research and retrieval, traveling notary public, and other support to law firms, real estate agencies, mortgage brokers, and other clients throughout New York and across the country and globe. Our experienced staff is highly trained to provide a wide range of support services that will help your practice work more efficiently and effectively. In addition, Reliant Court Services utilizes the most advanced technology in the industry, including high-volume scanning and copying, electronic case tracking software, and secure data archiving. 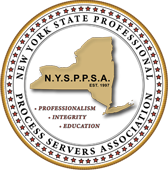 Furthermore, in the Five Boroughs of New York City and Nassau and Suffolk Counties all process service is performed with Global Positioning System (GPS) technology for the ultimate in accountability. If you’re in a bind or looking for a helping hand, one call to 631-567-3120 will get you all the assistance you need. We offer services in the Nassau and Suffolk counties and the five boroughs of New York City. Nationwide services are also available.